One common misperception of McDonald’s is that it’s exactly the same – regardless of where you go. 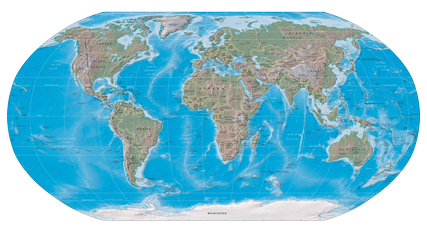 True, a Big Mac is a Big Mac, whether it’s on the menu in China or Belarus. But I’ve eaten at the Golden Arches all over the world and find interesting and not-so-subtle differences reflecting local customs and culture. 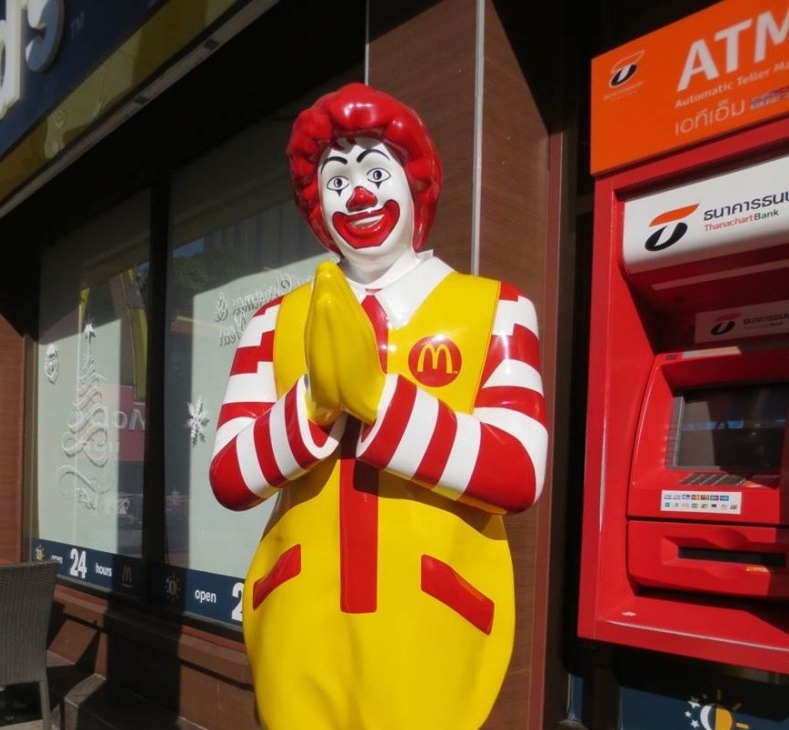 Nowhere is this more apparent than in Thailand, where there are 88 McDonald’s restaurants. Even before you go inside, you’ll realize you’re not in Kansas anymore. 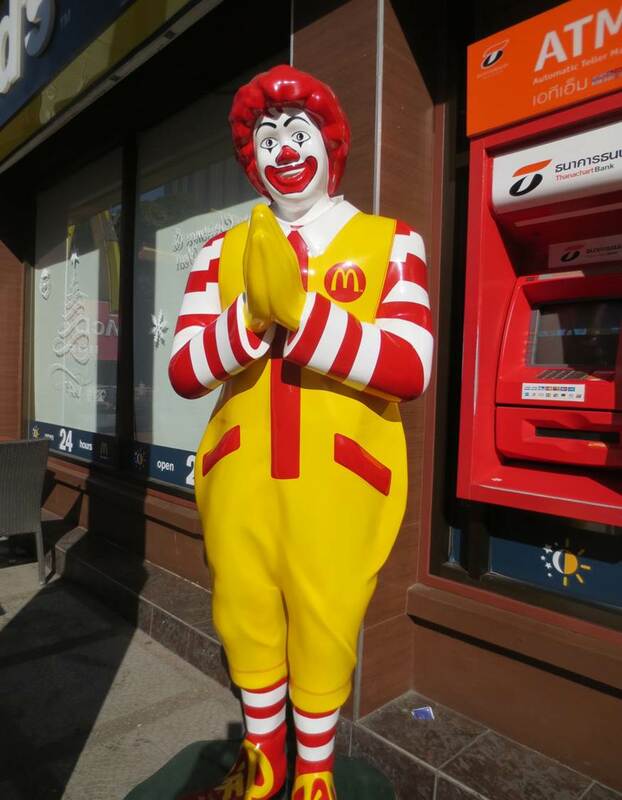 There, by the front door, Ronald McDonald greets visitors with the traditional Thai greeting called a wai, in which the palms are pressed together in a prayer-like fashion. It’s the way Thais show respect and friendship. 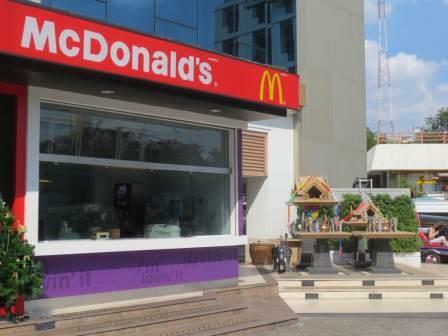 At another McDonald’s next to a swanky shopping mall in downtown Bangkok, I saw a Thai spirit house, or a small religious shrine. Commonly found next to homes and businesses in several countries in Southeast Asia, spirit houses are normally in the form of a miniature house or temple, and are mounted on a pillar. They are intended to provide a shelter for spirits which could cause problems for the people if not appeased. In this case, perhaps that means they really will hold the special sauce if that’s the way you order your Big Mac. The shrines often include images of animals. I observed several miniature elephants in this spirit house. 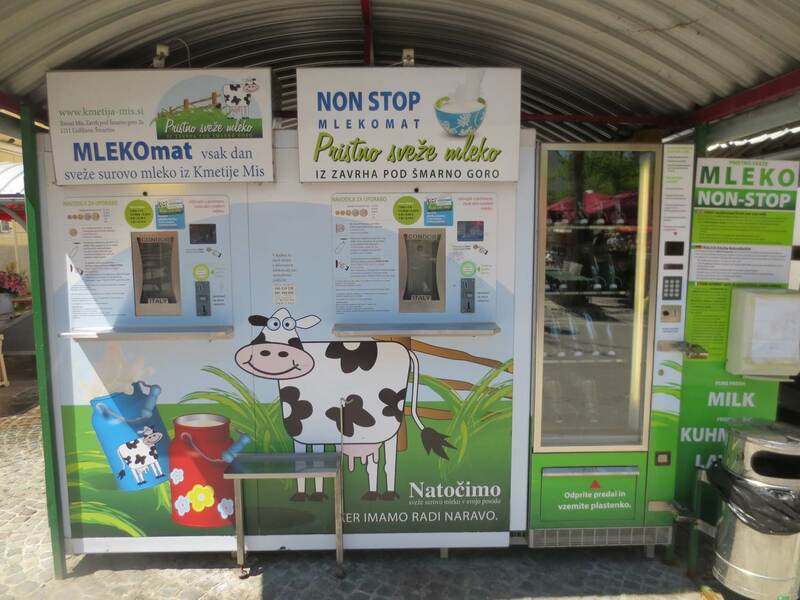 Once you go inside, the menu looks quite similar to an American McDonald’s. 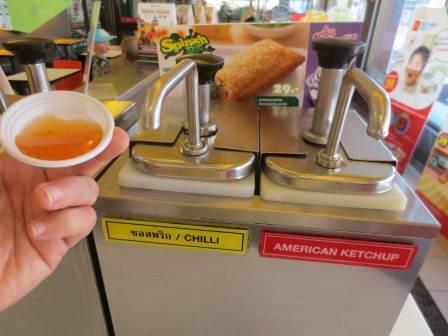 However, when I went to get some ketchup for my fries, I noticed a condiment right next to the ketchup dispenser that you won’t find in a McDonald’s back home – Thai chili sauce. Thai food is notoriously spicy and this sauce had a real kick to it. I stuck with the ketchup. I enjoy sampling local cuisine when I travel and don’t make a habit of going to McDonald’s very often. But every now and then, I crave something familiar. And if Ronald McDonald greets me with a wai on my way inside, so much the better.